Batman returns! Ben Affleck made a surprise appearance at Las Vegas's CinemaCon on Wednesday, marking his first public event since announcing he went to rehab for alcohol addiction earlier this month. The Batman star looked happy and healthy as he joined his Justice League co-stars at the Warner Bros. presentation on March 29. Two weeks prior to his outing, the dad-of-three revealed that he had "completed treatment for alcohol addiction." In a Facebook post, Ben, 44, wrote: "I want to live life to the fullest and be the best father I can be. I want my kids to know there is no shame in getting help when you need it, and to be a source of strength for anyone out there who needs help but is afraid to take the first step. I'm lucky to have the love of my family and friends, including my co-parent, Jen [Garner], who has supported me and cared for our kids as I've done the work I set out to do. This was the first of many steps being taken towards a positive recovery." Matt Damon, who was on hand to promote his upcoming film Suburbicon at CinemaCon, opened up to Entertainment Tonight about his lifelong pal, revealing that Ben is doing "fantastic" post-treatment. He said: "[Ben's] with the kids now, couldn't be happier. Jen's working for a couple weeks in Atlanta, so he's Mr. Mom-ing it right now. And that's what he wants to be doing." 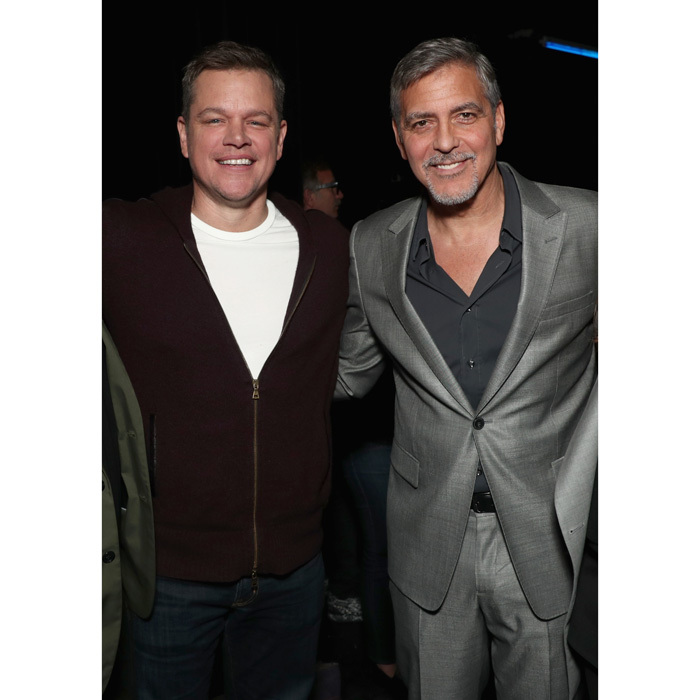 Matt also shared an update on his Suburbicon director George Clooney, who is expecting twins with his wife Amal. "He's going to get prepared," the actor told ET. “[George] better figure it out, 'cause they're on the way. But he'll be great. He'll be a mess, but [Amal] will take care of everything." Matt noted that he is “lucky” to be surrounded by a great group of guys. "I have a good group of friends," he said. "We always keep track of each other and look out for each other."